At its height the Moundville ceremonial center was a densely occupied town of approximately 1,000 residents, with at least 29 earthen mounds surrounding a central plaza. Today, Moundville is not only one the largest and best-preserved Mississippian sites in the United States, but also one of the most intensively studied. This volume brings together nine Moundville specialists who trace the site’s evolution and eventual decline. Built on a flat terrace overlooking the Black Warrior River in Alabama, the Moundville ceremonial center was at its height a densely occupied town of approximately 1,000 residents with at least 29 earhen mounds surrounding a central plaza. Today Moundville is not only one of the largest and best-preserved Mississippian sites in the United States but also one of the most intensively studied. 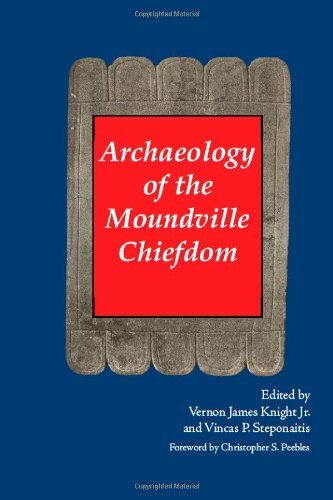 This volume brings together nine Moundville specialists who trace the site's evolution and eventual decline. Vernon James Knight Jr. is Professor of Anthropology at The University of Alabama. Vincas P. Steponaitis is Professor of Anthropology and Director of the Research Laboratories of Archaeology at the University of North Carolina-Chapel Hill.